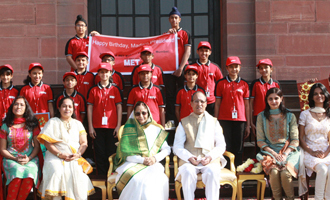 MET Rishikul Vidyalaya - Grade VII students visited the Rashtrapati Bhavan, New Delhi on December 19, 2010 on the auspicious occasion of the birthday of the President of India, H.E. Smt. Pratibha Devisingh Patil.